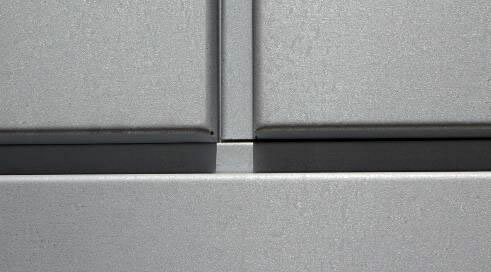 VMZINC® is launching AZENGAR®, the first engraved zinc to come on the market, an exclusive new aspect confirming its pioneering approach and its position as leader in surface aspect treatment. This original expressive material breaks with the traditional aspect of preweathered products and “transcends” the image of zinc by giving it a new appearance. It is eco-designed using a brand new industrial process and is the most matte and lightest shade of zinc on the market. 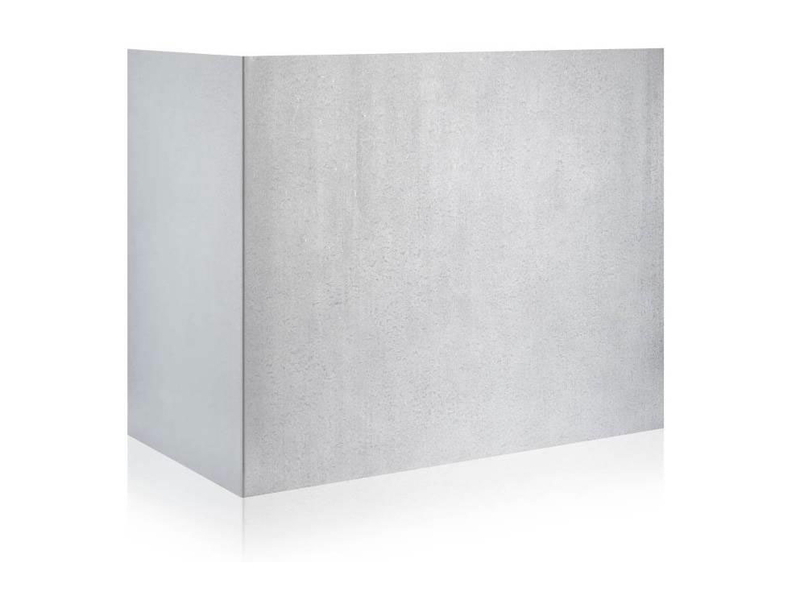 It stands out with its rugged uneven surface, which catches natural light and gives projects a timeless appearance. AZENGAR® demonstrates VMZINC®’s determination to enrich the scope of zinc in contemporary architecture. It is the result of a study conducted with 400 international architects, currently seeking vibrant, rugged textures that can be magnified by time and weather. It had its world première at the last BATIMAT trade show, where it generated strong interest among professionals. It was specified by several architects for experimental projects in France and other European countries six months prior to being put on the market next September*. One such project is the renovation of the Jules Verne School Group in the Paris suburb of Châtenay-Malabry. AZENGAR®, which derives from the Persian Zangâr meaning zinc, evokes images of mystery and voyage. This eloquent name is symbolic of a return to the origins of zinc and its authenticity. It expresses the fundamentals of this new range of engraved rolled zinc. Its slightly rugged texture captures the light and creates subtle shades of light grey in the sunlight. It brings the building envelope to life, illuminating it, transforming its appearance and complementing the surrounding materials. AZENGAR® complies with the EN 988 standard and was developed using an eco-design approach at all stages in its elaboration and industrialisation, enabling a reduction in acids, effluents and water consumption, as well as in the number of manufacturing stages. “A specific working group of 20 people from complementary horizons guaranteed the respect of this approach and reduced design time by half,” says Vincent Kandel, AZENGAR® Project Manager and head of the rolled zinc Application with VMZINC®. AZENGAR® is easy to form, bend and weld, and possesses all the natural properties of zinc for quick and easy installation by contractors and craftspeople. 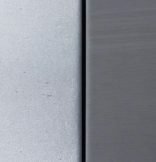 Its fingerprint-proof surface ensures a flawless finish for rainwater collection, roof and facade systems. VMZINC® has been setting trends since 1837, continuously developing its material and its products. 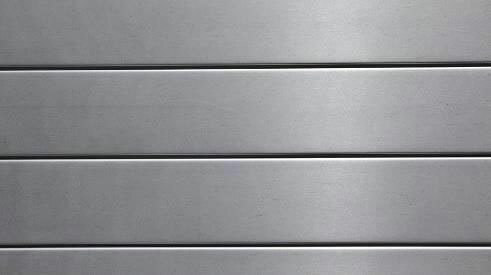 It now offers 4 product lines with 16 references: PREWEATHERED ZINC, LACQUERED ZINC, TECHNICAL ZINC and ENGRAVED ZINC. 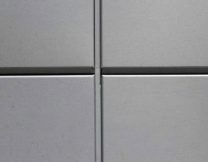 These complement the NATURAL ZINC, which marked the beginning of the brand’s history and meet the technical and aesthetic requirements of architects, craftspeople and contractors. With over 2.7 billion m2 of zinc installed worldwide, VMZINC® has established its material as an architectural element in itself and now enjoys an international reputation. These renovations will be completed in three successive phases from 2014 to 2016. The objective is to create a new identity and unity for a group of disparate buildings constructed in the 1960s, of which only three elements in concrete were retained. 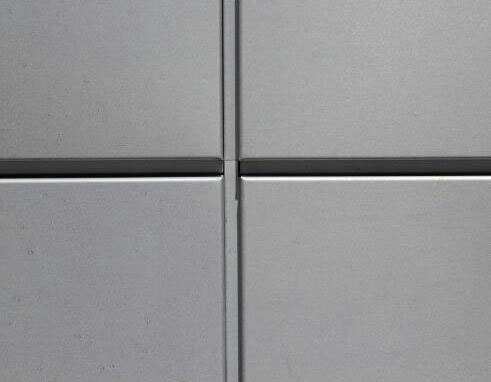 From the outset of the project, the ARCHI5PROD firm chose zinc to create an original elegant cladding. In order to give light and rhythm to the layout of the facade, the architect opted to alternate three different colours of zinc: PIGMENTO® Blue, QUARTZ-ZINC® and natural zinc. This pixelization and the distinct lines of standing seam create a strong identity for the envelope and feature in a perforated version on the southern part of the building, serving as a sun-shield. This zinc cladding blends harmoniously with the new curved extensions that are clad with wood. When the project was presented, the municipal team had to be convinced about using natural zinc, as the self-protective coating that forms on its surface over time would quickly change its appearance. “AZENGAR® made it possible to solve this problem yet still use a very light, uneven, slightly rugged zinc giving a touch of radiance to the layout. 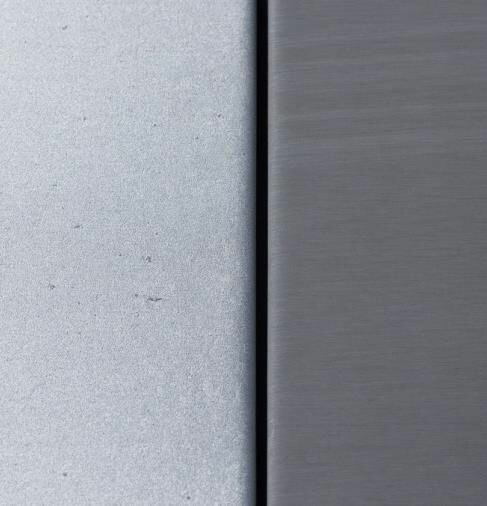 The specific texture of AZENGAR® makes the material expressive, as though it was already slightly eroded by time. This new product marks a return to authentic, durable materials that are easy to maintain and less costly to install than other surface aspects,” explains architect Charles-Henri Guetin, an associate with ARCHI5PROD. During installation, the SP TOITURE contracting team stressed how easy it is to form AZENGAR®. “The material can be handled without leaving fingerprints or marks from machines and this speeds up the work on site. It holds in place well, minimizing ondulation when crimping joints,” explains manager Patrick Spagniuolo. Market launch in September 2014 of a compact range (sheets and coils) for roofing and flashing applications. Ranges will be expanded in 2015 to rainwater collection and facade systems. 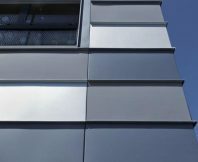 In order to give light and rhythm to the layout of the facade, the architect opted to alternate three different colours of zinc: PIGMENTO® Blue, QUARTZ-ZINC® and natural zinc.